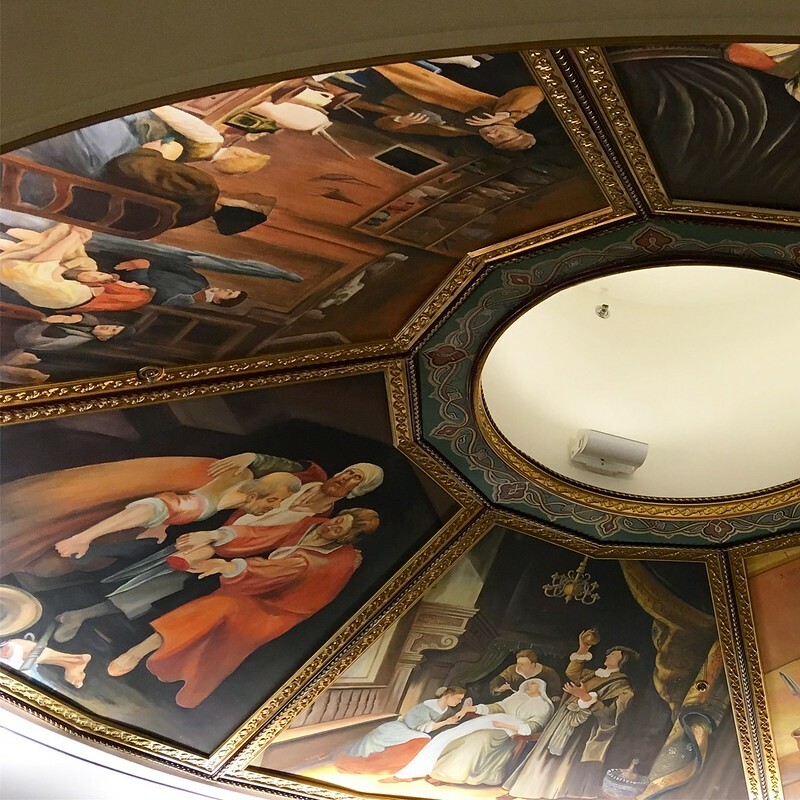 This was the mural on the ceiling of a clinic I went to a couple weeks ago. Check out the gnarly scene with someone getting their leg amputated! // In other news, please forgive any typos or incoherence - writing has become more physically and mentally difficult for me, so I'm trying to just let myself off the hook rather than letting perfectionism stop me! A week and a half ago, when I put up my first blog post in ages, talking about getting back out there in the (virtual) world, I had no idea that I was about to have a potentially life altering breakthrough with my medical care situation. I'd essentially stopped talking about the frustrations of trying to get better healthcare publicly because it just felt so utterly futile. The lack of progress had consistently resulted in people - some well meaning, some not - making their own judgments (accusations?) about my illness and how I should be handling it. I get a lot of positive things out of putting my writing in the public eye, and being honest and vulnerable, but I also open myself up to the negative side of telling my story to both friends and strangers. I had a really interesting evening tonight. I ended up deciding kind of last minute to head over to Lunapads HQ for one of their "Lunacircle" gatherings, it was the first one I made it to so I wasn't entirely sure what to expect... The topic of the night was doulas and women's bodies in times of transition, and the conversation was led by two doulas - Danika and Andrea - from Fig Birth Services. And before anyone gets ahead of themselves, no I am not pregnant, I was just curious to go listen and learn (and it turned out to be pretty split between pregnant women or women who already have children, and those who haven't had kids or don't even plan to, which I thought was really cool!). 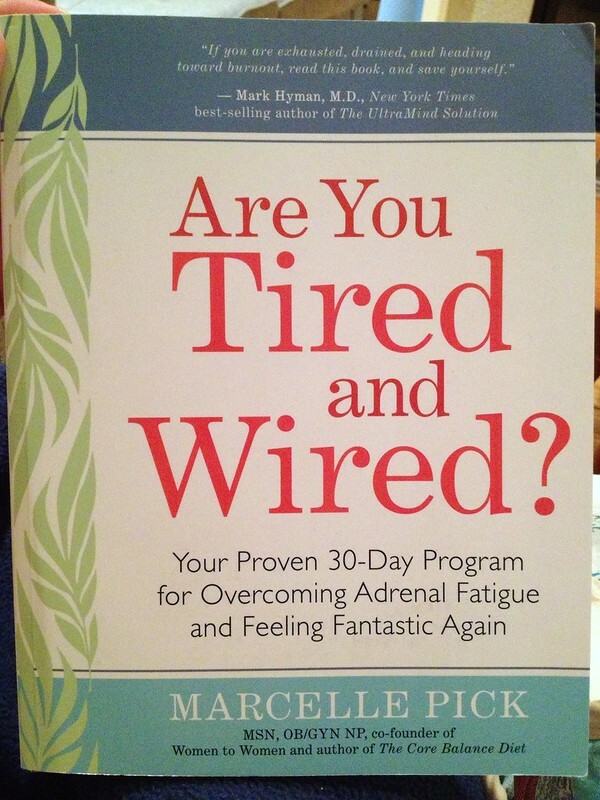 I found this book - "Are You Tired and Wired?" 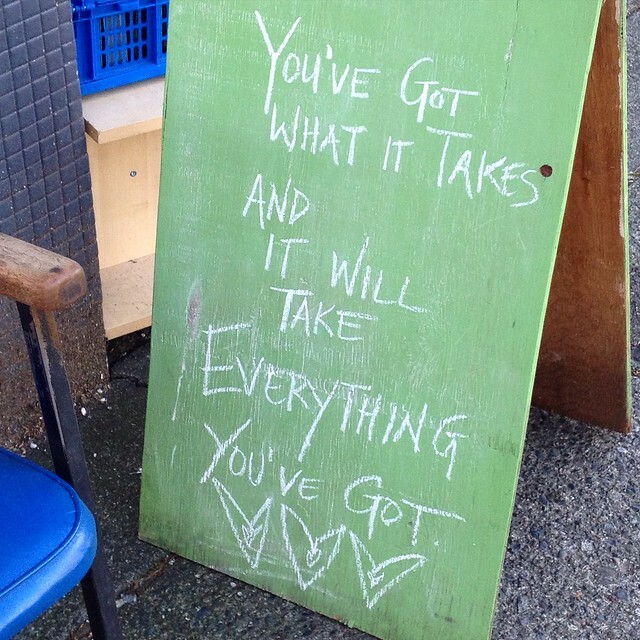 by Nurse Practitioner Marcelle Pick in a bookstore last winter, and little did I know how much it was going to mean to me. I'd been diagnosed with adrenal fatigue, so when I saw it I thought it might help me understand further what it is and how it works, and what else I could do to help recover from it. It ended up reading like my life story in parts, and blowing my mind as far as how long this has probably been building up. It validated so much of what I'm going through, and helped me understand how important what I've been doing is. You may think this is irrelevant to you, but ask yourself if you or someone in your life is constantly exhausted and on edge. Can't get to sleep (or wakes up in the middle of the night or too early) despite being exhausted. Feels like total crap after exercising, even though exercise is "supposed to" make you feel more energized. Is completely reliant on caffeine or sugar to get through the day. Having extreme cravings for sugar, carbs, and/or salt. Runs like an energizer bunny until a certain point, then crashes and turns into a puddle. Feels anxious or depressed and like life is no longer manageable. When I started writing this post, I decided to search my inbox for my oldest correspondance with Lunapads, and found an email from Sept. 1, 2006, related to entering a contest to win some kind of Lunapads prizes. 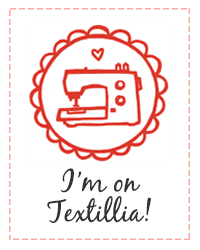 In the email, I mentioned that I already had some of their wares... that makes me a customer for over five years! And that's only a third of Lunapads' existence - they'd already been in business for over ten years by that time. As far as I can remember, I first found out about Lunapads from ads in Bust Magazine, which I used to have a subscription to in university. 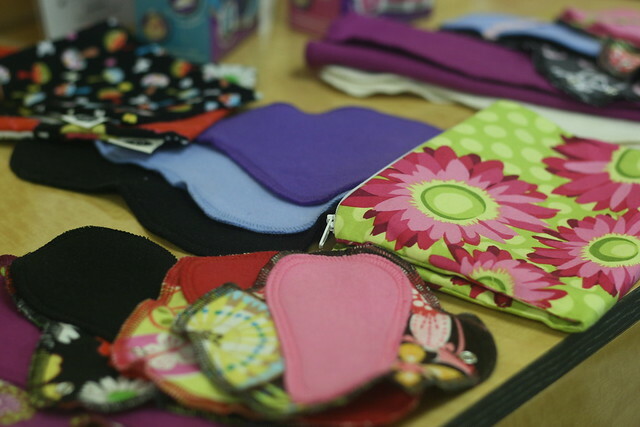 The women's center at school used to hold "sew your own pads" DIY workshops on occasion, so this wasn't a completely new concept to me, but the specific design of Lunapads (in comparison to the other reusable pads I'd seen) held some real appeal. I was hooked after my first order.